22026 Dumfries VA Real Estate and Homes for Sale. Do you have a Home to sell in 22026? Call Claudia S. Nelson with Keller Williams in Dumfries VA ? Are you looking to sell a home in Dumfries VA 22026 and are curious to know what your Dumfries VA 2026 home might sell for in today's Dumfries VA Real Estate Market. Call Claudia S. Nelson with Keller Williams in Woodbridge VA at 571-285-4319 or text 202-299-7671 or log on to www.TrackmyDumfriesHomeValue.com and fill out the form to receive a free, no hassle, home value report on your Dumfries VA Home. Click here to see the 22026 Real Estate Market Report for Dumfries VA. 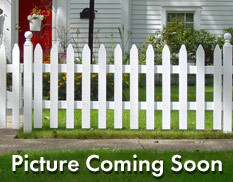 It will show you median list prices for Dumfries VA Homes, Market Inventory Trends and so much more.